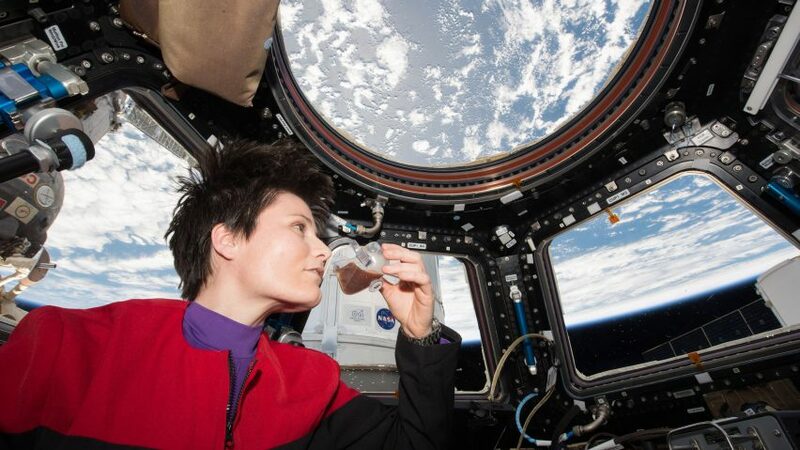 A team of researchers at Portland State University has developed a coffee cup that gives astronauts in space an earth-like drinking experience by driving liquid towards the mouth. The Space Cup – designed by Mark Weislogel, Andrew Wollman, John Graf and Donald Pettit – was named best product at this year's Designs of the Year awards. The vessel is based on a prototype first developed by Pettit, an astronaut, while he was aboard the International Space Station in 2008. As water droplets and spillages can cause major problems in space, drinks are normally contained to a sealed bag and sipped through a straw. The Space Cup, however, has been engineered to drive the liquid toward the astronaut's mouth while they drink from an open cup. "The design required careful experiments around the movement of liquids in low gravity, or what Weislogel terms 'space plumbing'," said MoMA curator Paola Antonelli, who nominated the product for a Designs of the Year award. "The tiny cup brilliantly reflects the confluence of science, technology and design, responding to an extremely specific problem." Weislogel described the cup as a "fun application" of his and his students' research into fluid movement in space. Through the process, they discovered that by combining the right material, shape and design, the liquids could be encouraged to follow a specific path in an open container. "The technical term is large length scale capillary fluidics," said the team. "Surface tension – a result of the attraction of liquid molecules – plays a big role, too." The group believes that the Space Cup has "huge implications" for the future of space travel. They plan on developing further projects based on the same principles, such as creating a working toilet and improving refrigeration and air conditioning. "Mark [Weislogel] is opening a Golden Age of working with fluids in microgravity," said Graf. "He's proposing to do crazy bold things that were impossible to credibly think about 10 years ago." "It sounds like very simple-minded, fundamental stuff. But astronauts in the space station spend inordinate amounts of time tending to these basic problems – time that could be better spent on research and exploration." While the Space Cup won the Product category at this year 's Design of the Year awards, it was IKEA's temporary shelter that scooped the top prize. A robotic surgeon, which could allow users to carry out procedures at home, took the prize for the digital category, while the Lumos light-up bicycle helmet was the top pick of the transport projects.